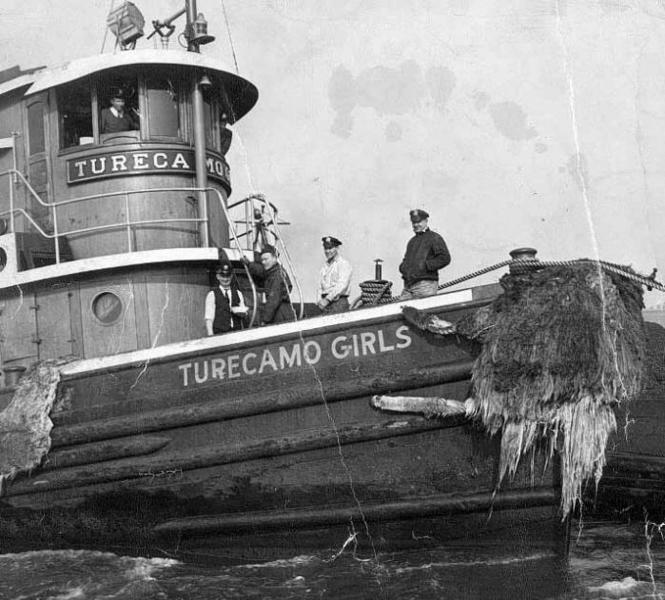 Built in 1933, by Bath Iron Works of Bath, Maine (hull #158) as the Turecamo Girls for Turecamo Maritime. 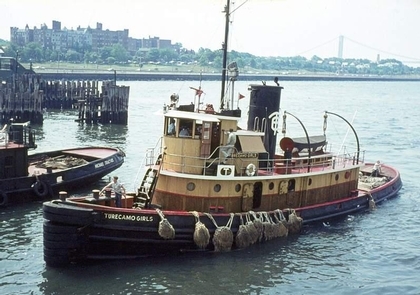 In 1965, the tug was acquired by Terminales Maracaibo of Maracaibo, Venezuela where she was renamed as the Rosa F. Her current and or final disposition is unknown. 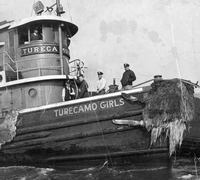 She was a single screw tug, rated at 1,435 horsepower.